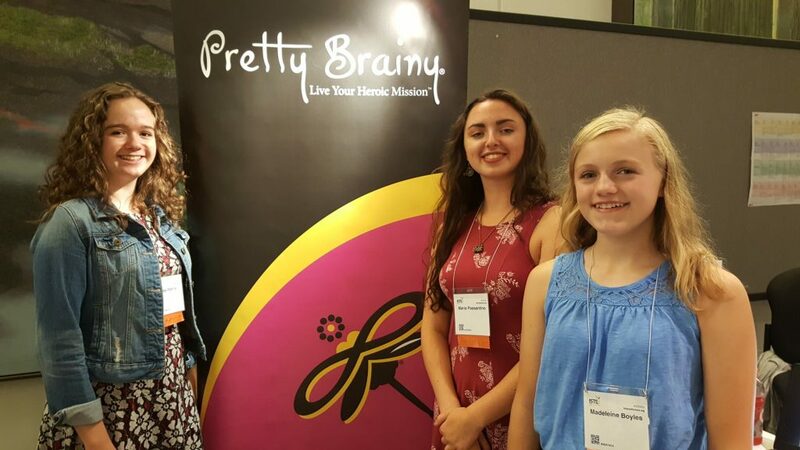 • Some aren’t old enough to drive, but already these Pretty Brainy teens are building their entrepreneurial and philanthropic credentials. • Through a 15-week, 40-hour workshop that met Saturday mornings, the girls learned the design thinking and coding to prototype health and wellness solutions for their community. • Thanks to the opportunity to pitch their designs in a shark tank-like experience, one young entrepreneur is pursuing a patent on her solution for tackling the spread of germs. • During the 15-week experience the girls were mentored by young professionals from OtterBox and by Engineering majors at Colorado State University, all of whom are female. • The girls gained the learning and opportunity to create their prototypes through a curriculum designed by Pretty Brainy. The mission of the Colorado-based nonprofit is to empower girls to gain an interdisciplinary blend of the science, tech, engineering, art, and math that students need to excel at 21st century skills. Invent: Bee, Maria and Madeleine (l to r) designed and built prototypes to address health and wellness dilemmas facing their community. The girls, who are in high school, gained the experience in a Pretty Brainy workshop on code, social entrepreneurship and design thinking.